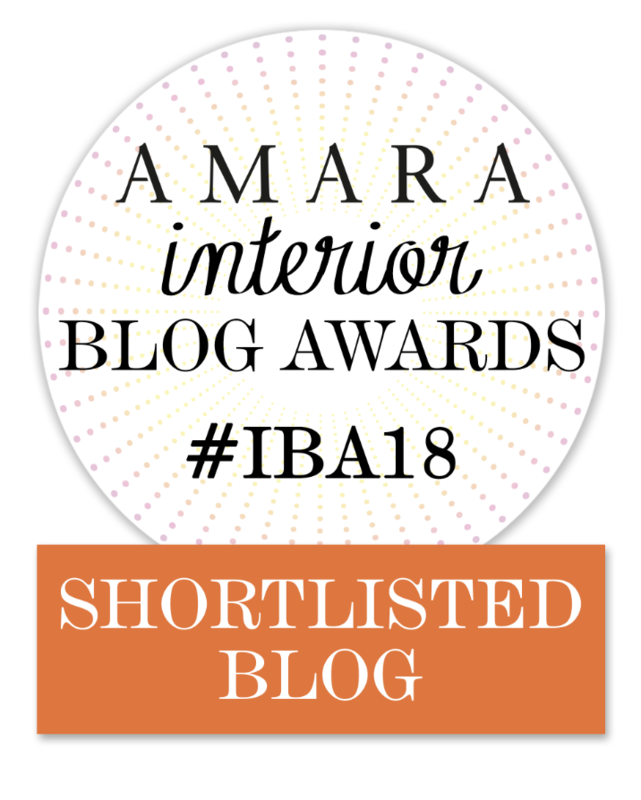 I've Been Nominated for the Amara Interior Blog Awards! I have some exciting news to share with you! My blog has been nominated for the Amara Interior Blog Awards! Yes, me! The crazy paint lady from the tiny village of Kakabeka Falls, Ontario has been nominated for the Best Colour Inspiration Blog - International. I'm the only Canadian to be nominated in this category. I am truly honoured (and completely giddy!!). The winner in each category is chosen by both judges' views and public votes. If you enjoy my blog, I would appreciate your vote! Please click on the box below to show me some love. UPDATE: Voting is now closed. Thank you for your support! 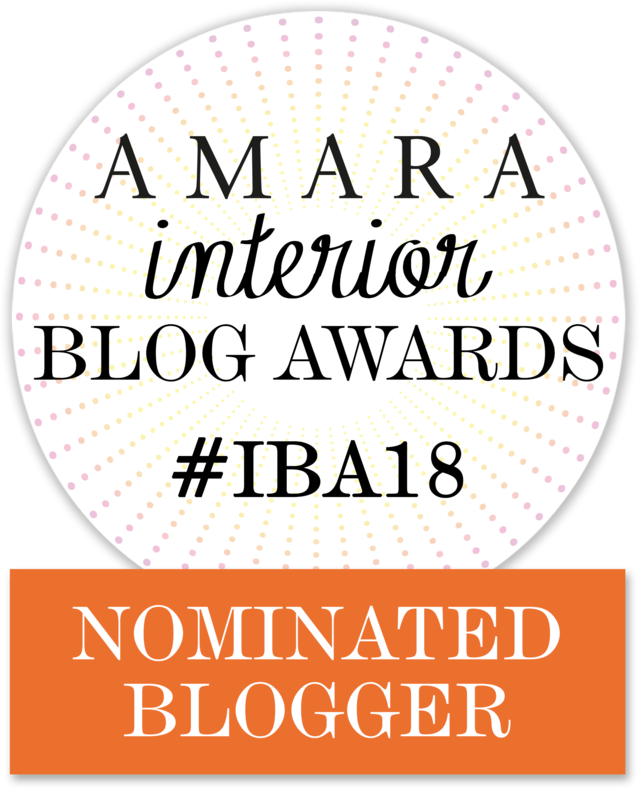 "The Amara Interior Blog Awards celebrates and engages with the most authoritative and respected bloggers in the interior blogging industry. Believing that bloggers are an integral part of the interior design community, the Amara Team has worked closely with many of these talented individuals over the years and strive to give back to this vibrant community through the awards." If you read my blog, you likely know that I am a wee bit of a storyteller. Sometimes I feel that I can justify random ramblings as long as I accompany them with plenty of photos. If you are not in the mood for reading, just scroll through and look at all the beautiful colours. So many people ask what inspired me to become a blogger and open my brick and mortar and ecommerce paint shop. It was actually a series of events that occurred over many years that lead me down this path. My passion for colour began in 2004 when I planted my first flower garden. At that time I owned a cheap point and click camera worth about $150 and I began taking photos of my flowers. By 2009, my entire yard was filled with flower gardens. During that time, I was hungry to learn everything I could about gardening and joined a forum where we shared garden photos and ideas. One of the brilliant gardeners on the forum was Justin Hancock, who at that time was the senior garden editor at Better Homes and Gardens. One day Justin asked if I would share photos of my garden so they could create a slideshow on the Better Homes and Gardens website. Oh my! Could this really be happening?! Gardening season was just ending, so I told Justin I would photograph my garden the following summer. And the pressure was on! A couple of months later, I purchased my first DSLR camera. When I arrived home, I opened the box, looked at all the buttons on the camera, was completely overwhelmed and put it back in the box and hid it in my closet. There was no way I was ever going to learn photography! Aperture, depth of field, exposure, focal length, ISO - Really?! In what language were those words? Surely not one I was familiar with! In January the following year, I was surfing the web and came across an ad for a photography course. It showed beautiful images of lavender fields and read "Join us for a photography adventure in the South of France." Without hesitation, I put a down payment on my credit card and registered! Umm. I guess I was going to France and I was going to work a whole whack of overtime to pay for it! I was almost afraid to tell anyone what I had just done, lest I be judged for my outrageous late night decision. The next day I received a confirmation email about the course and there were some expectations for the participants: You must be familiar with using the manual settings on your camera and have basic photography skills. Manual mode?! I could barely turn that puppy on! Now was a good time to dig my camera out of the closet and start learning. I enrolled in several online photography courses. These courses were amazing and I started to look at the world in a whole different way. I saw light and colour through a new set of eyes. I became more aware of my surroundings and my creativity began to increase. Can you spot the HOT? Is it a mockery because this is a fire scene? Is the firefighter hot (like as in gorgeous)? Is there a HOTel on fire? We all see things differently and photography allows us to express how we see the world. P.S. Yes, a vacant hotel was on fire but I took this photo because I thought the fireman was hot, hot, hot. I will tell you that taking photography courses in the dead cold months in Canada was certainly not one of my best decisions. Some days it was very difficult to change the camera settings because my fingers were so cold. Yes, I am Canadian and I know about glove warmers, but they just didn't cut it! The above shot is from one of my many adventures. I wrote a blog post about it a few years ago. My courses ended and although I knew photography would be a lifetime of learning, I felt a little more confident when I headed to Europe. When I arrived, I spent two weeks in the North of France visiting Claude Monet's garden and many other beautiful gardens. My focus was definitely on flowers. Then I headed to the South of France and joined a wonderful group of people from all over the world for the photography course. Although I tried my best, I was very disappointed with my photos of the lavender fields. This is the only photo that was decent, but one day I will get a second chance and I will be armed with a little more experience! You know where I am going with this, don't you? A small seed had been planted. I then made my way to Italy for two weeks. I wasn't going all the way across the pond without seeing Rome, Venice and Burano! Burano is an island in the Venetian Lagoon that is famous for it's colourful houses. I began to see what colours played well together. When I arrived back home, I continued to spend endless hours going on photography adventures. My favourite thing to do was grab a Timmy's coffee, hop in my little green truck and spend the day exploring. That summer I took photos for the Better Homes and Gardens slideshow. You can view it on their website. I had no intention of turning this blog post into a short novel ... so I will end this quickly. Five years ago, I was on yet another adventure with my camera and I stumbled across this old building. I fell in love and moved in six weeks later. and that was the beginning of my new adventure - My Painted Door! and when the same company introduced Fusion Mineral Paint, I fell in love with that too! Pssst! Please don't forget to vote for me! Posted on August 21, 2018 by Sue Sikorski and filed under Photography Adventures, Random Ramblings, Fusion Mineral Paint, Milk Paint and tagged 2018 photography amara blog awards.